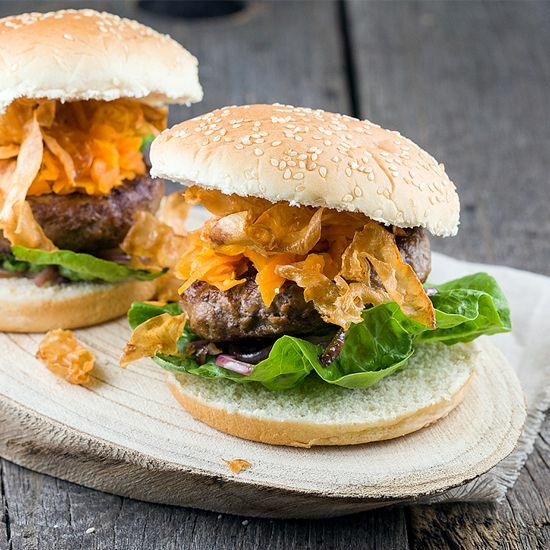 These 'winter' hamburgers are, of course, also great all year round. Made with winter ingredients such as carrots and celery root. Crispy ánd juicy! RINSE the lettuce leaves, PEEL the red onion and chop into thin (half) rings. FRY the celery root strips until they’re golden brown and crispy. TRANSFER them to the bowl with paper kitchen towels and season with fine salt. REPEAT untill all of the celery root has become crispy chips. HEAT butter in a large skillet and cook the burgers for about 3-4 minutes on both sides. Use the same skillet for the red onion, cook it for a few minutes. 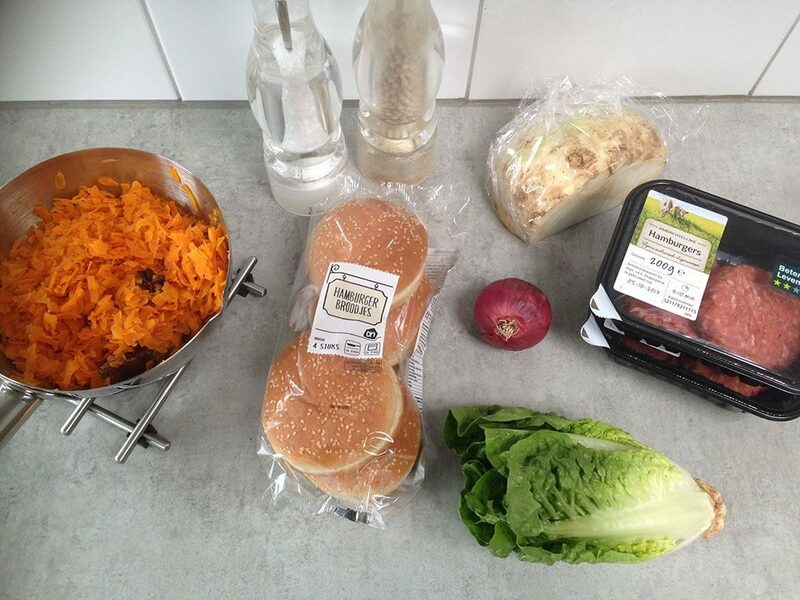 DIVIDE the buns into two and divide some lettuce and red onion on the bottom. 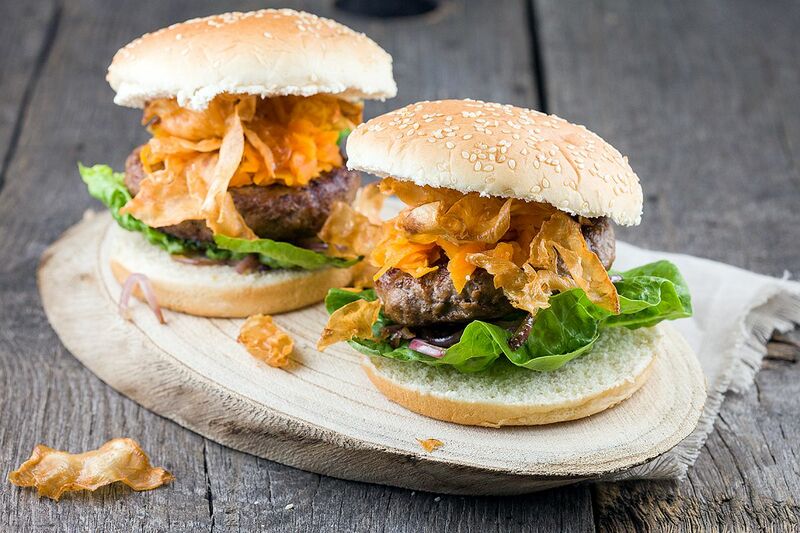 PLACE the burgers on top and divide some carrot chutney on top. 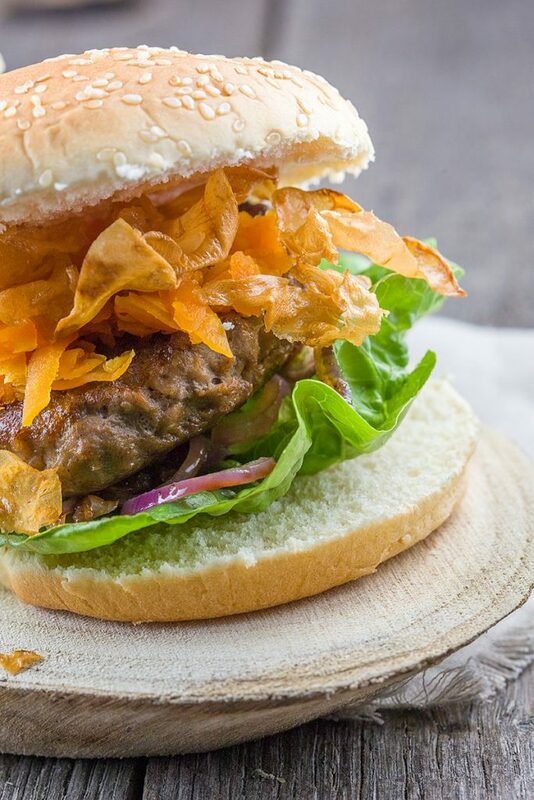 FINISH the burgers with crispy celery root chips and the top of the buns. SERVE with fries and enjoy! Veronique works as a chef and Marco builds websites. We've started ohmydish.com in 2014 to give us a way of sharing our recipes with the world. Since we like all kinds of foods, you'll see dishes from every kitchen imaginable. Our recipes are not specifically healthy, vegan, easy or frugal, but they do have one thing in common: they are all made with passion. You can contact us if you have any questions about food, recipes or our food blog.